When an individual who uses opium quits and adverse reactions or symptoms occur, these symptoms are known as opium withdrawal. The discontinued or reduced use of opium which leads to withdrawal symptoms can have various impacts on the user. Some symptoms are difficult to cope with and uncomfortable while others may just result in agitation or irritability. Regardless, it’s the withdrawal symptoms that typically cause the user to go back to his or her old ways and continue to use opium. Detailed information about the causes of opium withdrawal, the symptoms of withdrawal and treatment for withdrawal can be found in this guide. If you are addicted to opium or if you know someone who is addicted to opium, understanding the symptoms of opium withdrawal can lead you in the right direction to getting past this difficult time and ultimately recovering from this terrible disease. Prolonged use of opium can lead to a tolerance and subsequent addiction that causes a range of physical and psychological dependence issues. The dependence that the body has on opium is what actually causes the withdrawal symptoms when opium use is stopped. The body physically and psychologically says it wants more opium but the user does not provide the opium which leads to a number of adverse consequences. Opium withdrawal can result after a few uses of opium or opiates or it may result after prolonged use of the drugs. For some, the symptoms of opium withdrawal are mild to moderate and for others, these symptoms are severe. The length of time that opium is used and the amount of drug abuse can also impact the severity of the withdrawal symptoms. Nausea and agitation are common opium withdrawal symptoms. These symptoms can be mild and may not require any medical intervention or they may become very severe and difficult to cope with. When opium withdrawal symptoms are severe, doctors or treatment professionals can prescribe medications to reduce or eliminate some of the symptoms and make for an easier detox for the individual. In some cases, opium withdrawal will lead to a need for long term medication replacement therapy. Medication replacement therapy such as Methadone or Suboxone can be used to treat opium withdrawal. These drugs work by producing similar effects of the opium so that the body actually thinks that it is getting the opium and therefore has fewer negative reactions during the detoxification process. Unfortunately, these medications also have a risk of causing addiction and this can lead to a further need for treatment. Talk with your doctor or a treatment professional about the various medication replacement options available to you if your opium withdrawal is severe. Other than medication, some alternative therapies can also provide effective relief for many of the symptoms of opium withdrawal. Acupuncture and massage therapy can help to reduce nausea, promote relaxation and even reduce sore muscles. Herbal remedies may also work to promote relaxation, reduce nausea and vomiting and promote better sleep during opium detox. The best treatment for opium withdrawal is time. Over the course of about two weeks, opium withdrawal will peak and then begin to subside. 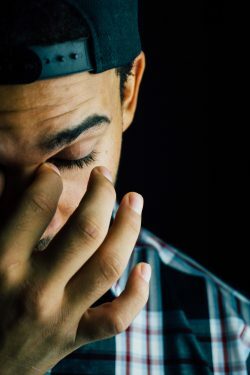 The symptoms of the withdrawal will usually peak around the 5th day following discontinued use of the drug and by the 10th day, most symptoms should be gone and those that do persist will be mild. It’s light at the end of the tunnel and you can rest assured that any symptoms of withdrawal that you are having trouble coping with will be gone in a week or so. 10 Physical and Psychological Symptoms of Opium Withdrawal - Going through withdrawal from opium involves both physical and psychological symptoms of varying intensity. Psychological symptoms may last longer than the physical ones. When Will This Opiate Withdrawal Stop? - Depending on how long you've been abusing opiates, and your addiction severity, withdrawal symptoms can last anywhere from 3 months to a year. 10 Benefits of Using Methadone for Opiate Withdrawal - Methadone is a powerful drug that can be used to treat opiate withdrawal.